All Posts / Our News / Gold for Canada! 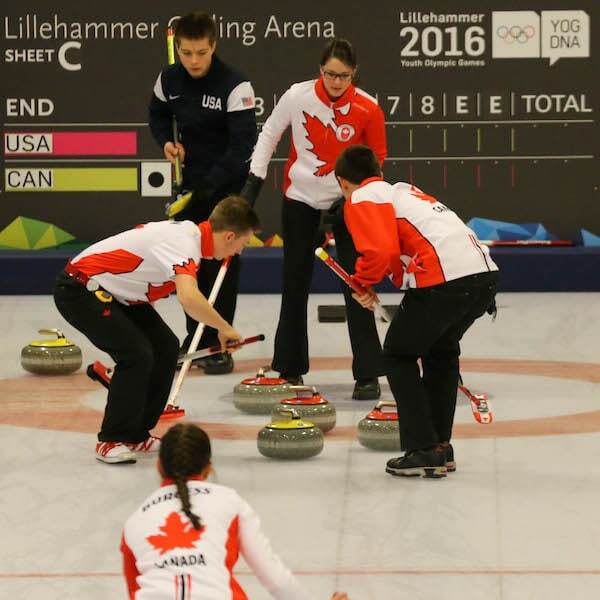 They went undefeated throughout the round robin, won both quarter-final and semifinal games, and now, Team Canada’s Mary Fay, Tyler Tardi, Karlee Burgess, Sterling Middleton and coach Helen Radford are bringing home gold medals after defeating USA 10-4 in the final of the 2016 Youth Olympics Mixed Team curling event in Lillehammer, Norway, this morning. Kicking off the game with a score of five certainly helped. In the opening end, Tardi’s “plan B” line call on Fay’s run-back left Canada with a house full of rocks and a lead that the USA’s Luc Violette just couldn’t overcome. Trailing 9-4 in the seventh, USA put up two corner guards, but Canada peeled away every attempt by their opponents to generate offence. In the end, Fay had an open tap-back for one – and the team had a gold medal to celebrate. “Representing Canada at the Youth Olympics, it’s an unbelievable feeling. I don’t know what to say about it, it’s just an incredible feeling,” said Tardi. This Youth Olympics gold medal marks the end of a long year of training for Team Canada skip Fay (Chester, N.S. ), third Tardi, (Surrey, B.C. ), second Burgess (Brookfield, N.S. ), and lead Middleton (Fort St. John, B.C. ), who began this journey with coach Radford a year ago. 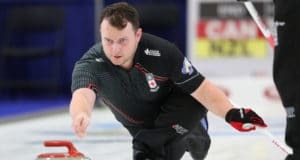 Fay and Burgess will be back on the international stage in a few weeks – representing Canada at the World Junior Curling Championships in Copenhagen, Denmark. 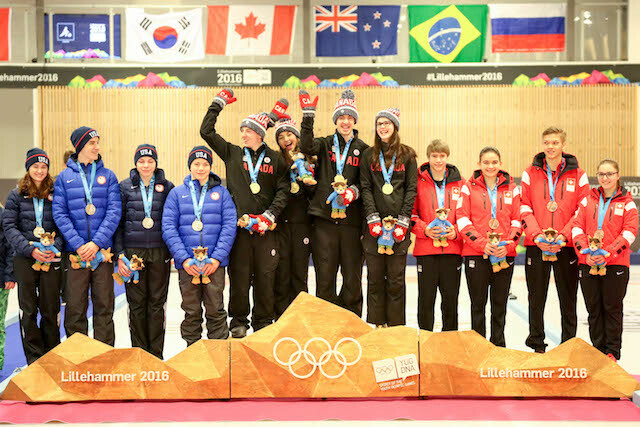 At the first Winter Youth Olympics, in 2012 at Innsbruck, Austria, the Canadian team of Thomas Scoffin, Corryn Brown, Derek Oryniak and Emily Grey captured a bronze medal, behind gold-medallist Switzerland and silver-medallist Italy. With the team competition concluded, the players will now be split into mixed doubles teams, with players from different countries matched into new combinations, determined by the athletes’ position within their teams and their nations’ overall position following the traditional team competition. 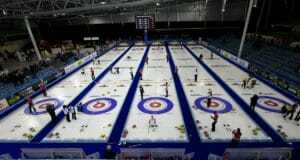 The mixed doubles gold- and bronze-medal games will take place on Feb. 21 at a.m. EST. 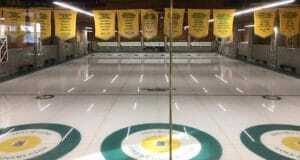 Follow live shot-by-shot action on Curling Geek. Daily highlight packages will be available online at http://www.cbc.ca/sports/olympics/video. Other video content from Lillehammer will be available at the Games’ Youtube channel, www.youtube.com/user/lillehammer2016, as well as at the Youth Olympics’ Youtube channel, www.youtube.com/user/YouthOlympics. For more information about the Youth Olympics, click here.